Walmart’s grocery pickup is free, but how is the service? According to the Time Use Institute, the average grocery shopping trip takes 41 minutes. But this varies dramatically based on factors, like the day and time you visit the store and the number of items in your grocery basket. Services like Instacart and Walmart Grocery make it so you can avoid grocery shopping in a brick-and-mortar store by doing your shopping online via an app or website. Walmart Grocery offers delivery, pickup, or both options, depending on the market where you live. 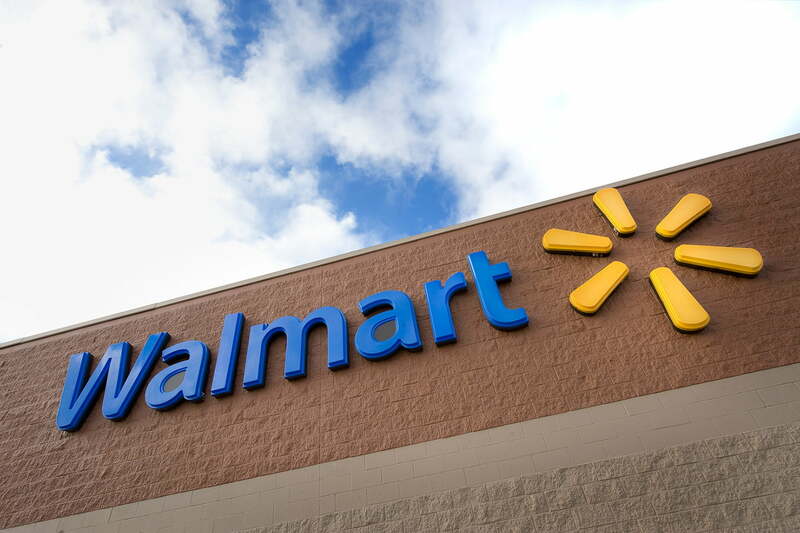 Walmart’s grocery pickup service is free to use, which makes it rather attractive for those looking to save money and time meandering around a crowded grocery store. All you do is drive up to the store, get your groceries loaded by employees, and leave. We decided to give Walmart’s grocery pickup service a try. Looking at factors like the quality of the groceries when compared to an in-store grocery trip, customer service, cost, and time savings, we aimed to find out if the service is as great as it sounds. We used the Walmart Grocery app to place our order, and found it to be, for the most part, user friendly and easy to navigate. To locate an item, you simply type it into the search box, and a variety of selections appear on the screen. It should be noted that some items require more extensive searching than others. For instance, it was more difficult to find specific brands of gluten-free items, even when typing the exact name and brand of the item into the search box. For some items, we had to try a few different searches like “gluten free granola bars,” “Annies gluten free,” and “gluten free Annies” to get the item we were looking for. Our grocery order was substantial; the total for our order was $547.57, but this got us a lot of groceries (enough to feed a family of six for at least two weeks). We ordered a variety of items, ranging from produce and meats to foods for those with dietary restrictions (gluten free and lactose free). The available food selection was impressive, and ordering groceries via the app was relatively painless. It took us 58 minutes to input our order. However, you could input a smaller order in a few minutes (the app indicated the minimum order amount was $30). You can reserve your pickup time in one-hour intervals either before or after you make your grocery selections. If you reserve your time beforehand, the app tells you a time period, and you have to check out to keep that time slot. Depending on when you order, there may be time slots available on the same day. There were no available time slots on the same day we were ordering, but there were many the following day and each day after. We selected 2 p.m. to 3 p.m. on the following day. During checkout, you also indicate whether or not it’s OK for the store to make “substitutions.” This means, if the store is out of an item on your list, they can substitute it for a similar item. We marked no substitutions for our “dietary restriction” foods, but allowed substitutions for the remainder of our items. Our order was ready at approximately 2:15 p.m., which was right on time. An app alerted us and we also received an email that our items were ready. The email and the app instructed us to check in when we were on our way by pressing a button in the email or app notification. We checked in and headed to the store to pick up our order shortly thereafter. When we arrived, we parked in the designated pickup area on the side of the Walmart store. The app told us it knew we were at the store, but we had to wait 18 minutes for someone to come out and greet us. The staff was friendly, but they didn’t say much to us. Overall, it took 33 minutes from the time we parked to the time we drove away with our groceries. According to the Walmart Grocery website, the associates cannot accept tips for pickup orders. Upon unloading our order, we found out they had made several substitutions. Some of the substitutions made sense, like swapping different brand names, while others were a bit strange, like giving us fresh cauliflower instead of the fresh broccoli we ordered. The produce and fresh food looked decent overall. The bananas were not overripe, the potatoes were fresh, and the green peppers weren’t damaged or dented. Two of our items were damaged, though. Our lactose-free milk was dented, and our leaf lettuce was badly wilted. One of our items — split chicken breast — was expiring the following day, but no items were past their expiration date. Twelve items were missing from our grocery order. When we looked at the receipt, we noticed they did not charge us for two of the items, but they did charge us for the remaining 10 missing items — that’s $31.48 in groceries we were charged for. We contacted the phone number provided in the email regarding the missing groceries, but getting the problem corrected was very difficult. It took us 10 calls back and forth to the Walmart store where we ordered to correct the issue. The store associates did not argue with us or deny the groceries were missing, but they sounded like they were too busy to handle the problem. We were asked to call back several times, or an associate would ask if they could call us back in five minutes and then 20 minutes would go by with no return call. The associate hung up on us on two different occasions (we are unsure if this was an accident or not). The additional phone calls back and forth took us a total of 71 minutes from the first time we called to the time we had a resolution. To get the missing groceries, we had to make another trip to the same Walmart store to pick them up. On our second trip, the associate was friendly, but this time it took an additional 20 minutes for associates to bring the missing groceries to the pickup area. So, is Walmart Grocery Pickup as convenient as it sounds? When we added up the time it took to place our order, make two separate trips to Walmart, and make phone calls to correct the problems with our order, it took slightly more than three hours to complete the process. That seems like a lot of work, although hopefully not everyone will have to make a second trip to the store for missing goods. Verdict? If you’re buying a large amount of groceries or you have very specific dietary needs, you may be better off going to a grocery store and purchasing your groceries or using another service. This is not to say this service isn’t useful. With a few kinks worked out, this service could be valuable. For those with smaller grocery orders, the service may be a time saver. So, is Walmart Grocery Pickup as great as it’s cracked up to be? That depends on what you value. You probably won’t get the same quality of groceries as you would if you were to search for the best dates on meats and the best looking produce when you pick them out yourself. You may not save a ton of time. But, this service does allow you to look in your fridge and pantry while you shop, preventing excess or impulse purchases. It also prevents having to actually grocery shop yourself, and to some people that’s priceless.